You'll be £19.99 closer to your next £10.00 credit when you purchase Ultra Versus U-Boats. What's this? Keeping the Atlantic sea-lanes open was a vital factor in the fight against Nazi Germany. In the battle to protect merchant shipping from the menace of surface raiders and U-boats, Allied resolve and resources were tested to the utmost. The story of the extraordinary measures that were taken to combat the threat, at sea and in the air, has often been told. But there is one crucial element in this prolonged campaign that has still not been fully appreciated - the role of code-breaking, in particular the decryption of secret signals transmitted by German Enigma machines. And this is the focus of Roy Nesbit's fascinating new account of the Battle of the Atlantic. 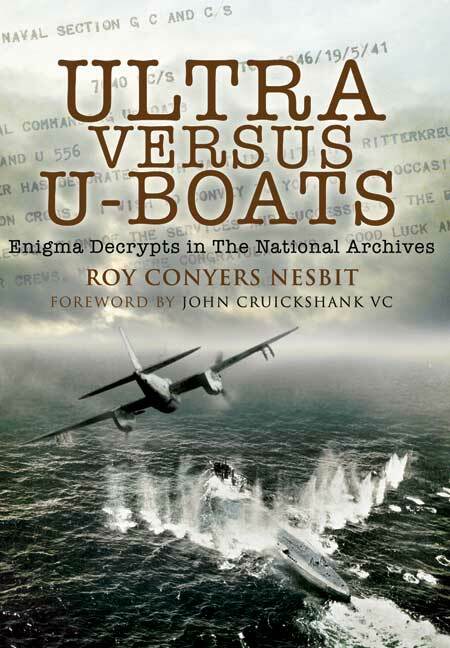 Using previously unpublished decrypts of U-boat signals, selected from the National Archives, along with historic wartime photographs, he tells the stories of the individual U-boats and describes their fate. Their terse signals reveal, perhaps move vividly than conventional communications could do, the desperate plight of the U-boatmen as they struggled against increasingly effective Allied countermeasures that eventually overwhelmed them.